If you are disabled and unable to work, you can file an application for Social Security Disability Insurance benefits (SSDI) or Supplemental Security Income (SSI) online, call the Social Security Administration (SSA) or go to your local Social Security district office. If you have an SSI claim you will need to go to your local Social Security office to complete the application. Filing an application can be complicated and overwhelming.. Having an experienced Disability Advocate such as one from Disability Specialist Center, LLC represent you will improve your chances of winning your claim for the reasons listed below. There are many forms and complicated questions that need to be completed accurately regarding your medical conditions, symptoms and limitations that interfere with your ability to perform work related functions. As a result, filing an application with an advocate is crucial since they know how to assist you in answering the questions that will help your case. 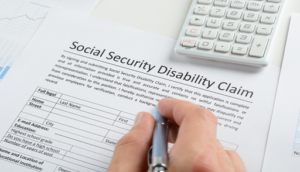 Once your application is filed, the Social Security office will send your file to the Disability Determination Service (DDS) to determine whether your are disabled. Sometimes, they will send you out for consultative examination if they need more evidence to make a decision. Once again, having an advocate will ensure that all of the documents and medical evidence that help support your case are submitted. If your application is denied, your advocate will appeal your decision. The next level of appeal in Michigan is to Request a Hearing with an Administrative Law Judge.